Yesterday’s run was a short one. It was a Tuesday which means it’s an in office day, by time I got home and changed we were reaching near dusk lighting. Due to a self-imposed broken-ish toe a few weeks ago, I ran down town as opposed to the hilly area where my parents live. It was a short and surprisingly fast run (I guess that’s what happens on the flat!) 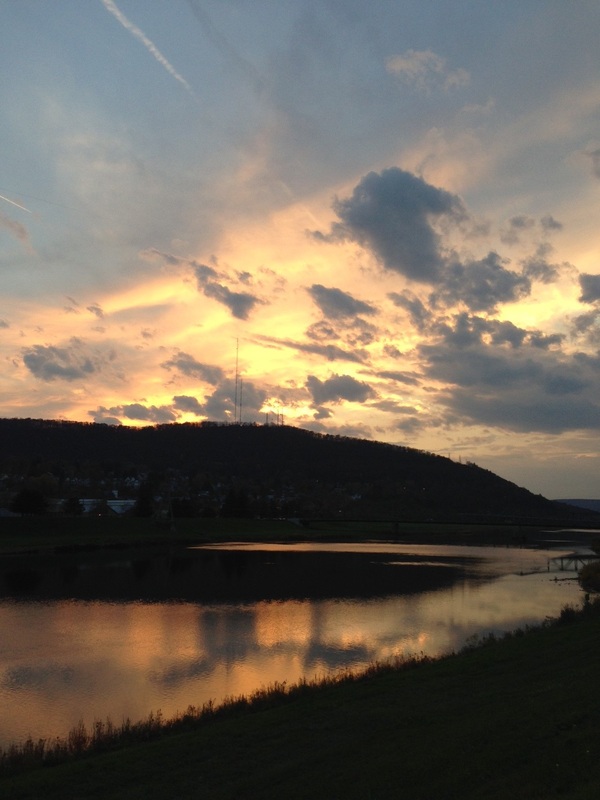 and I enjoyed a short cool-down walk on the river dike. I found a woolly bear caterpillar on my cool-down. For those who aren’t in the know, woolly bear folklore claims the caterpillar can help predict the the severity of the winter. There are a few different predictors. Relative length of the colored bands. Longer black bands mean a more severe winter, longer brown means milder. 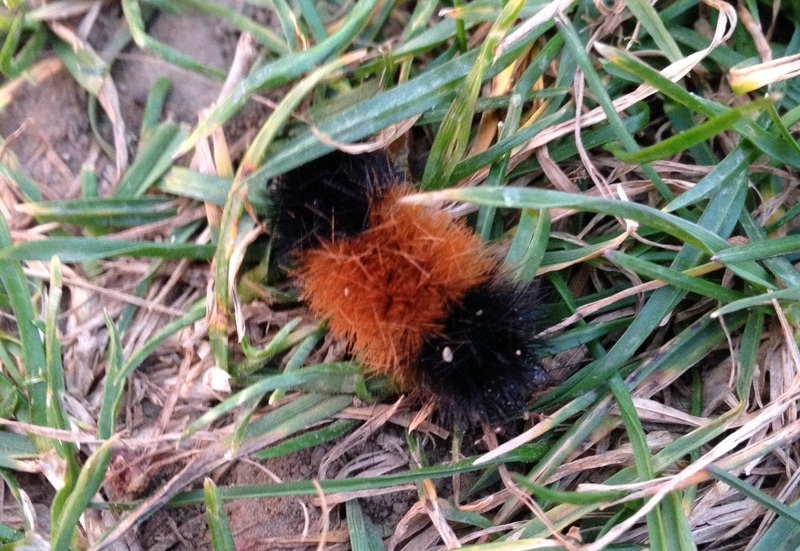 A “fuzzier” caterpillar means a more severe winter. The “results” are inconclusive. The middle of winter should be milder, but it’s pretty fuzzy so it should be harsh. Also he was headed south west. It’s a toss up.